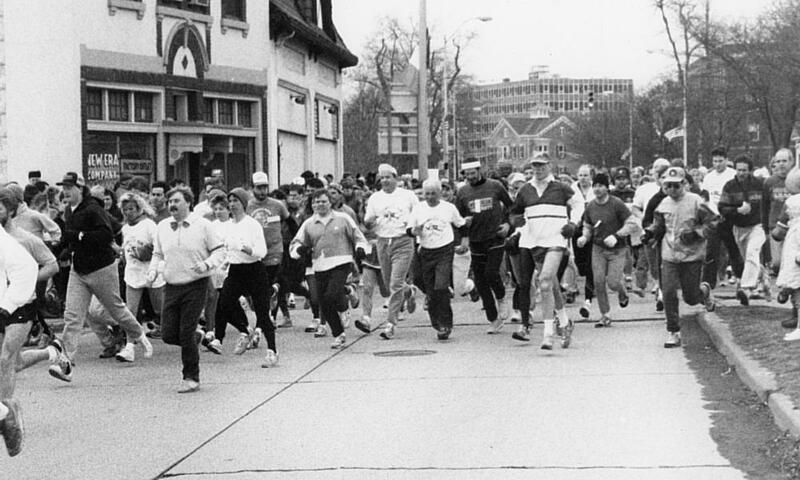 The Shamrock Run was started in 1989 on the idea that a run should precede Kingston’s St Patrick’s Day Parade, with cheering fans lining the roadside- a great way to get folks out in the spring and into running. The expectations for the first annual run were about 100 to 150 runners- the end result was 297 runners. The Shamrock Run has grown annually since then and is believed to be the largest race between New York City and Albany. The Shamrock Run Committee meets and works diligently for months prior to what they call the “unofficial First Day of Spring”. The committee relies heavily upon a whole crew of dedicated volunteers who come out race day and ensure the success of the event. Many of these volunteers come back year after year to help with the registration, the finish line, the post-race party or many of the other behind the scene items that need to be handled in order to guarantee that the 4500+ runners and their families have a great day. Without this deep sense of commitment and support, the Shamrock Run would be nearly impossible to pull off. The committee donates a portion of the event proceeds to a local charitable organization each year. In addition to providing an annual spring “fun run”- it is an opportunity to raise money and give back to the community. The Shamrock Run does not time the runners. Since the race is so short, only 2 miles, folks do not get a chance to spread out that much on the course. Trying to provide accurate times for each runner would be much too challenging. In keeping with the theme of a simple “fun run”, the committee provides a clock for runners, but insist that they check their own time (if they choose to) when they cross the finish. The Shamrock Run was started in hopes of creating a “flat, fast and first class race”. Over the years, with the help of numerous volunteers and thousands of participants, it has evolved to become that and much more. The Shamrock Run Committee wishes everyone a safe and fun run!! !